Françoise Gilot (born November 26, 1921) is a French Painter and bestselling author. 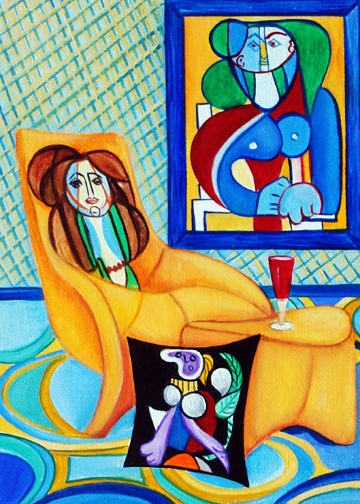 She is also known as the lover and artistic muse of Pablo Picasso from 1944 to 1953, and the mother of his children, Claude Picasso and Paloma Picasso. She later married the American vaccine pioneer, Jonas Salk. Gilot was more than just Picasso's lover: she was a mother, organizer, muse, conversation partner, hostess, artist, and an art critic.